Fat guys get no respect. They're marginalized, taunted, and made to look the fool. Well, no more! At least not in video games. We're tired of the chisel-chinned, nice-guy hero types taking all of the glory, so we've gone ahead and compiled our favorite round mounds of badassery we look up to...even if they probably haven't seen their toes in years. 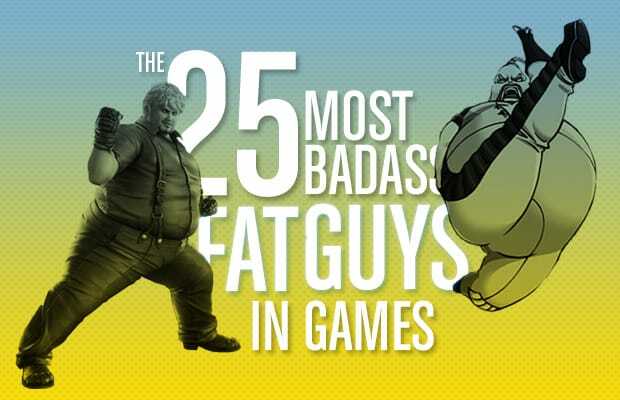 From the slimy to the just plain weirdly awesome, here is our totally unqualified, yet impeccably ranked list of the 25 most badass fat guys in video game land. Now, can someone please pass the fried cookie batter?